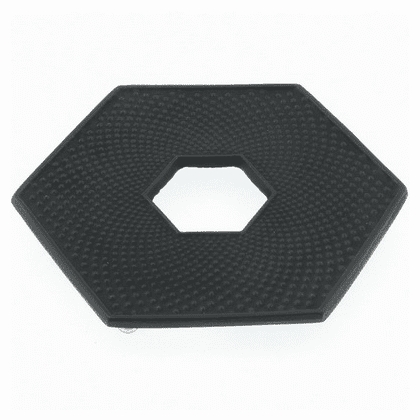 Trivet, Made by Iwachu 5-1/2"
This black hexagonal hobnail trivet has protective rubber caps over its legs and is 5-1/2" in diameter. Made by Iwachu in the Iwate region of Japan. Matching cast iron tea pot available.